Well, That was A Nice Break! Vegas was Awesome, although I Never Want To Go Back. Well, at least Not For A Bit. It was A Little Too Crazy For Me. My Idea of A Vacation is Laying Out By A Quiet Pool In My Bikini, Reading A Trashy Novel In The Sunshine, and Someone Bringing Me Cocktails. Vegas was Tons Of Loud, Carefree Kids, Avoiding Trashy People In The Cold Rain, and Someone Bringing Me Cocktails. At least, The Last Part was Ideal. Still, it was Wonderful to Spend So Much Quality Time with Totally Awesome Boyfriend. The Friday Night before we left for Our Trip, I received My Final Night Of Hanukkah Gift from him. He gave me A Fabulous Photo Album full of Pictures Of Us from The Past Year! I couldn’t believe Someone Would Take The Time To Assemble Something So Sweet For Me! In the Back, there were Empty Photo Slots, which Totally Awesome Boyfriend told me would be for Pictures Of Our Future Adventures. It was The Nicest Present I have ever, well, been Presented With! I Cried when I Opened It. Anyhow, It Is The End Of 2006 and 2006 will definitely go down in My Life as A Pivotal Year For Me. Just like 1974, when Easily Annoyed Sister was Born. And, 1986, when My Dad Died. And 1996, when I Started To Get My Act Together and Took The Steps That Brought Me To California In The First Place. 2006 was also A Year when I Finally Got My Act Together, only This Time it was regarding Relationships. And that prepared me for Meeting My Totally Awesome Boyfriend, which happened When I Least Expected It, just like Everyone Told Me it would. Now, I can Easily Look Back and see how my Liaisons earlier this year with The Cutest Boy Ever and The Worst Guy Ever Ever Ever were just Stepping Stones. Despite them Treating Me Poorly, I Learned Important Life Lessons. They were All Just To Prepare Me For The Greatest Lesson I Would Learn This Year –- How To Let Myself Be Loved. Just prior to leaving for Las Vegas, Totally Awesome Boyfriend told me he had been there Last Year with A Girl. It turned out, she is A Friend Of His, Someone I Know Of. I had had No Idea that Totally Awesome Boyfriend and The Girl had Ever Been Involved Romantically. At first I was Really Upset. I don’t care for Surprises, even ones That Reveal Things That Happened Long Before He Met Me. And then, I Thought Long And Hard About It. And I realized, I was Really Grateful for Whatever Lessons He Learned from This Old Relationship. He Grew in The Same Way I Grew from My Old Involvements. Because, The Thing Is, Totally Awesome Boyfriend really is Totally Awesome. It isn’t Just A Cute Moniker. He Opens Doors For Me. He Holds My Hand. He Thinks I Am Beautiful and He Laughs At My Jokes. He Always Takes My Side. He Treats Me Better than Anyone ever has in My Entire Life. And I am Really Really Happy that We Found Each Other This Year. And, so I will always remember 2006 as The Year I Fell Head Over Heels In Love With A Really Great Guy. And, to think, I believed it would Never Happen for Me! Thankfully, I have A Photo Album As Proof! Happy New Year, Michael. I Love You With All My Heart. And I Can’t Wait to Fill Up That Album With You in 2007. I completely, whole-heartedly, Totally love you, too. Happy New Year, Randi. 2007 and onward is gonna be Awesome. that is so sweet! *sniff* I'm tearing up! you two are SO DAMN CUTE! Awww. So glad you both went to The Well that night! Perhaps the sweetest thing I've ever read. And then I went into a diabetic coma reading Michael's comment. You guys are great together. :) Looking forward to the continuing adventures of TDR and MMM in the new year! Aw, blogger love. Might you be following in some recent footsteps? I keep trying to get my girlfriend to call me her Totally Awesome Boyfriend (or TAB for short) but no luck so far. That is SO incredibly sweet!!! AAAWWWWWW!!!! So glad you had such a great getaway! Happy New Year To You And Yours!!! 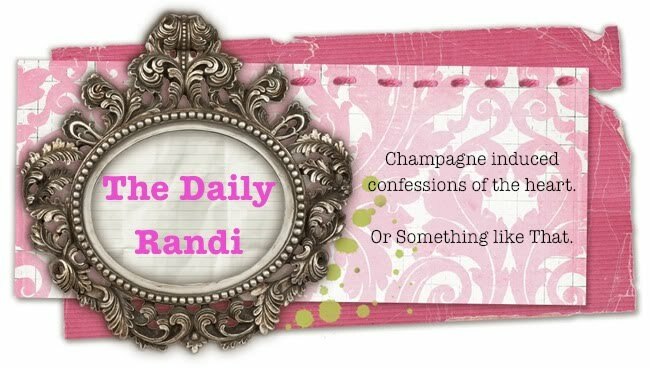 Randi, I haven't visited your blog in a bit, but I came here today and I must say this is the just the sweetest post ever! Your totally awesome boyfriend is just that! I hope the new year is wonderful for you and totally awesome boyfriend! Thanks for sharing your adventures and witty posts with us. Michael? Who's Michael? I thought your boyfriend's name was Tab. Aww, what an awesome post. And Totally Awesome Boyfriend totally deserves his nickname. Here's to a Totally Awesome 2007 for you both! First time commenter, but since I read TAB I thought I drop by. Congrats you two! You guys sound great! I'm positive The Girl is thrilled for both of you and wishes you every happiness.